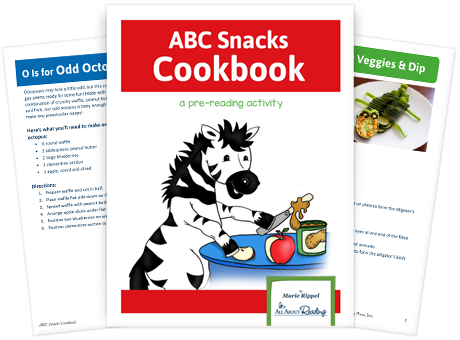 Get your ABC Snacks Cookbooks! Your preschooler will love this FREE cookbook! Complete the form for instant access to your "ABC Snacks Cookbook." 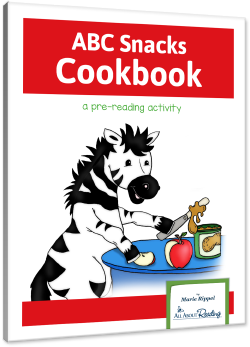 The 68-page ABC Snacks Cookbook contains nearly 60 snack recipes along with fun activities and helpful teaching tips—all designed to support important pre-reading skills. You'll find a unique and healthy snack for each letter of the alphabet, and then some! In addition to receiving this free cookbook, you will also be signed up for our educational newsletter. Our newsletter subscribers enjoy access to great reading and spelling resources, as well as news about amazing freebies and giveaways. You can opt out at any time, but we don’t think you’ll want to!